The Smile Brilliant system is custom fitted to your teeth, so the trays fit perfectly, and you don’t even notice them! It’s so easy to wear, I go jogging with them in! The 2nd part of the whitening process is the desensitizing gel, which eliminates tooth sensitivity (woohoo, bye pain!) and helps to prevent re-staining. 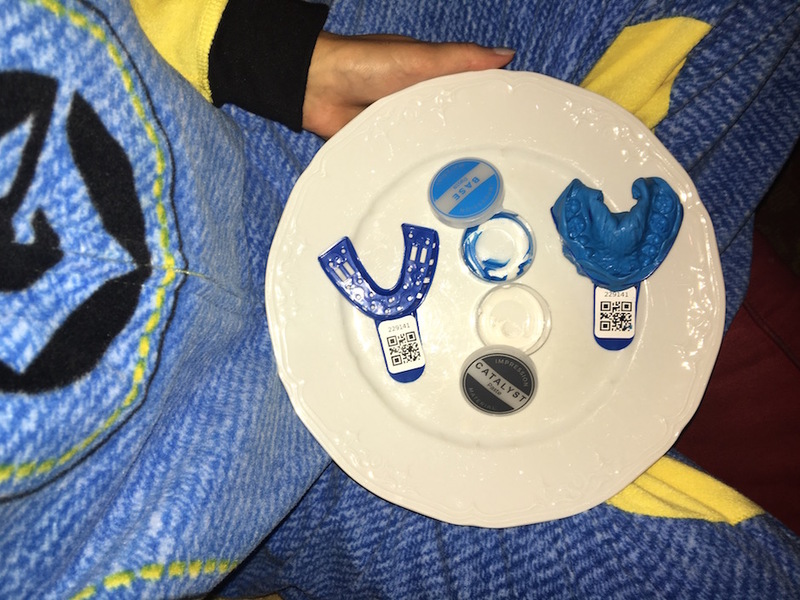 It was easy (and pretty entertaining) to create the dental impressions…and you can do it in your (minion) onesie. I suggest creating the impressions with a friend so they can help you time it and laugh at you while you drool.. 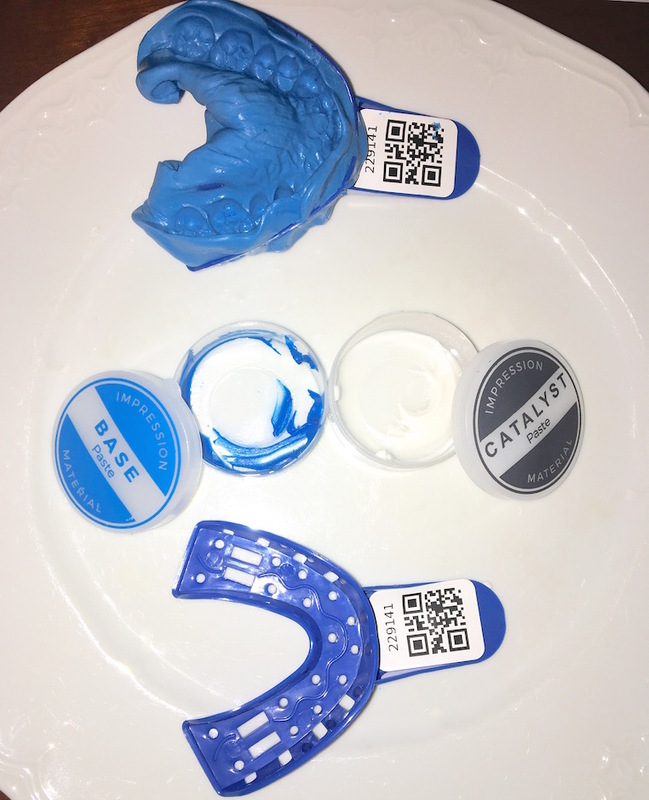 Mix the two materials together, fill the mouth piece, bite down for a minute or so (you will receive full instructions from Smile Brilliant), wait for it to harden and ship it back. As soon as your custom trays come back in the mail, brush and dry your teeth, then squeeze some gel into the trays and pop ’em in! Each tube of whitening and desensitizing gel lasts about 3 uses. Def one of my favorite blogger collabs to date, thank you for getting me hooked, Smile Brilliant! 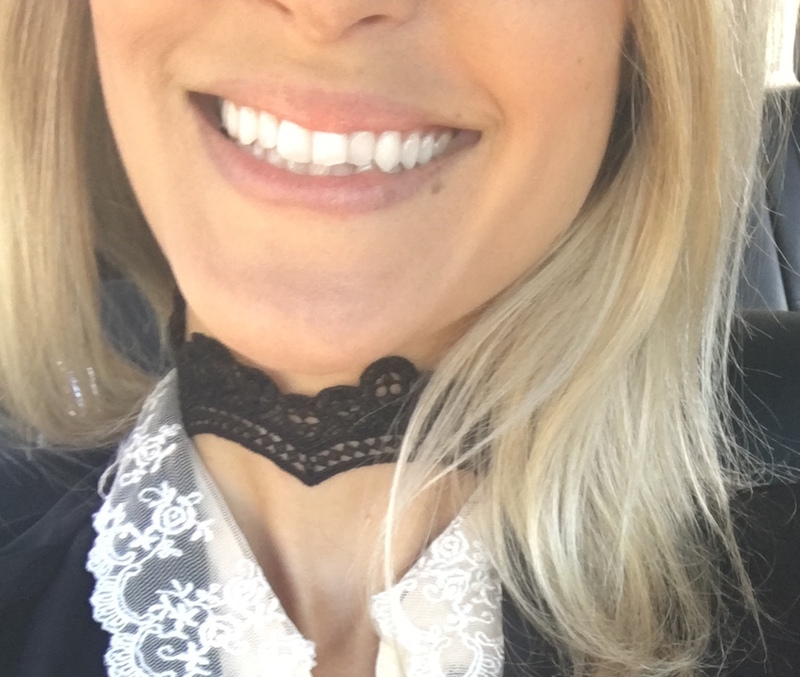 My teeth were already on the white side to begin with, but you can see they had a yellow tint to them..
After just a few uses, my teeth are now the whitest they have ever been, AND this was the easiest process. Other whitening systems (strips, clunky generic fitted mouth pieces..) were either uncomfortable or wayy less effective. No more worrying about coffee stains (I refuse to drink coffee with a straw..that is just way too high maintenance). Happy customer, right here! Thank you, Smile Brilliant!! This is most definitely one of my favorite blogger collaborations!